It must be believed to be seen! 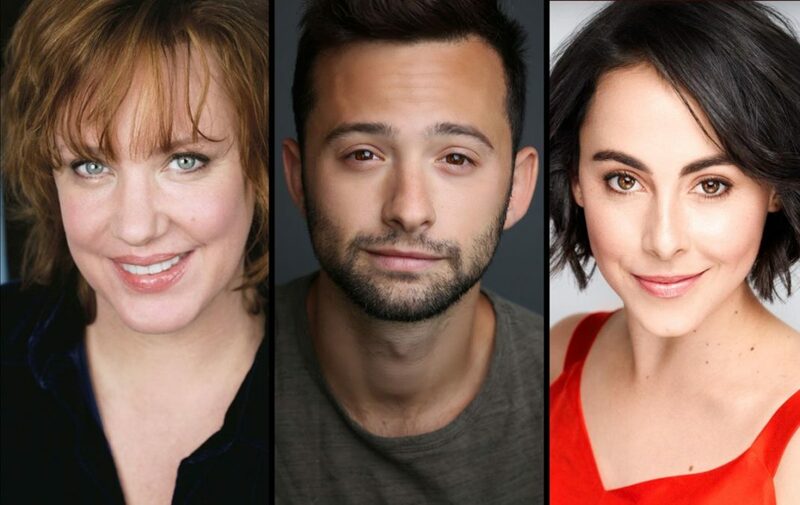 The upcoming national tour of Roald Dahl's Charlie and the Chocolate Factory has announced its full cast, including Kathy Fitzgerald (Charlie and the Chocolate Factory) reprising her Broadway role as Mrs. Gloop, Daniel Quadrino (Wicked) as Mike Teavee and Jessica Cohen (Cats) as Veruca Salt. As previously announced, Noah Weisberg will star as Willy Wonka in the traveling production of the musical. The Charlie and the Chocolate Factory tour will begin performances September 21 at Shea's Performing Arts Center in Buffalo, NY, before continuing on to cities across America. The Charlie and the Chocolate Factory tour cast also features young actors Henry Boshart, Collin Jeffery and Rueby Wood as Charlie Bucket, James Young as Grandpa Joe, Amanda Rose as Mrs. Bucket, Madeleine Doherty as Mrs. Teavee, Nathaniel Hackmann as Mr. Salt, David Samuel as Mr. Beauregarde, Brynn Williams as Violet Beauregarde and Matt Wood as Augustus Gloop. The ensemble includes Sarah Bowden, Elijah Dillehay, Alex Dreschke, Jess Fry, David R. Gordon, Chavon Hampton, Sabrina Harper, Benjamin Howes, Karen Hyland, Lily Kaufmann, David Paul Kidder, Jennifer Jill Malenke, Joe Moeller, Tanisha Moore, Claire Neumann, Caylie Rose Newcom, Joel Newsome, Kevin Nietzel, Kristin Piro, Clyde Voce, Armando Yearwood Jr. and Borris Anthony York. Featuring songs from the original film, including “Pure Imagination,” “The Candy Man” and “I’ve Got a Golden Ticket,” alongside a toe-tapping and ear-tickling new score from Hairspray Tony winners Marc Shaiman and Scott Wittman, Charlie and the Chocolate Factory boasts a book by David Greig and choreography by Tony nominee Joshua Bergasse. To find out when Roald Dahl's Charlie and the Chocolate Factory is headed to your city, click here.